Whereas there used to only be a few brands of juice in most grocery stores, today you can find a bevy of independent juice brands in a wide variety of flavors. The public's growing demand for juices with few preservatives, artificial flavorings and colorants has led to a new wave of artisan juice companies. If you are thinking of starting a bottled juice company, there are a few things you need to consider. Familiarize yourself with city and state health regulations concerning food production. Call your local public health department and request information pamphlets or code manuals. They may also have this information posted online at their official website. Read the United States Food and Drug Administration guidelines regarding the labeling of juices by looking on their official website. You will be required to include nutritional content, calorie and ingredient information on the label, as well as the weight of your juices. Get the business documentation needed to start a retail business in your city. Contact your local Small Business Administration office to see what is required. You may need an assumed name certificate, or DBA, state tax identification number or employer identification number from the IRS. What Do I Need to Open a Candy Store? 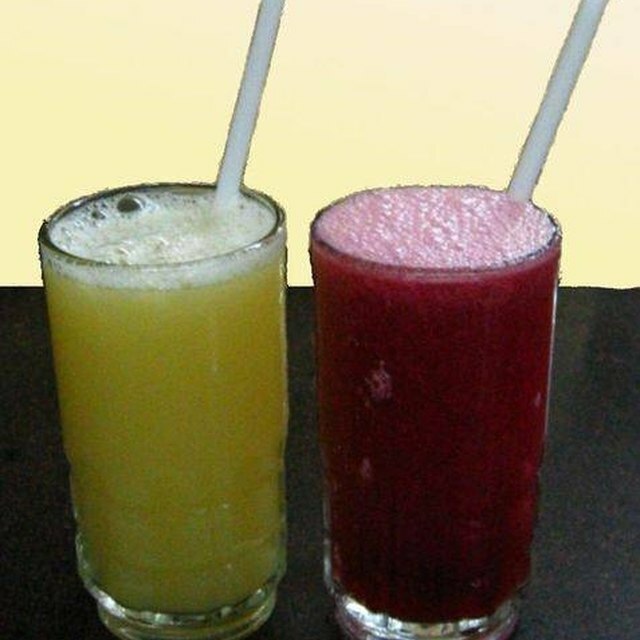 Obtain the food manufacturing permits required in your area to start a juice company. Contact your local department of public health to find out what you'll need. You may have to obtain a food handling permit, a food manager certification or a food enterprise license. Secure a facility to bottle and produce your juice. Most areas prohibit the home manufacturing of juices, and it would be difficult to fit all the equipment needed into the typical home kitchen. Renting a commercial kitchen is an affordable option. Purchase the bottles, lids and seals needed to manufacture your juice wholesale from a supplier such as Specialty Bottle or SKS Bottle. Make a list of potential retailers for your juice. This could include health food stores, fitness centers and gyms, local supermarkets, or juice shops. Contact these retailers explaining why you feel your juice would be a good fit with their store and target market and offer to bring samples of your juices to them. Promote your juice company to the public. Launch a promotional website and blog, post recipes that utilize your juice on health and fitness websites and forums and open social media accounts to connect with potential customers. Take samples of your juices to local fairs, festivals, farmers markets and flea markets. Try to get some news exposure by sending press releases to media outlets that cover local small businesses.